Welcome to the English and Media Faculty at Nobel. We are a teaching team committed to fostering a love of reading, writing and discussion. Our schemes of work are designed to develop and stretch these skills and encourage serious thought about literature, the world around us and the lives we lead. 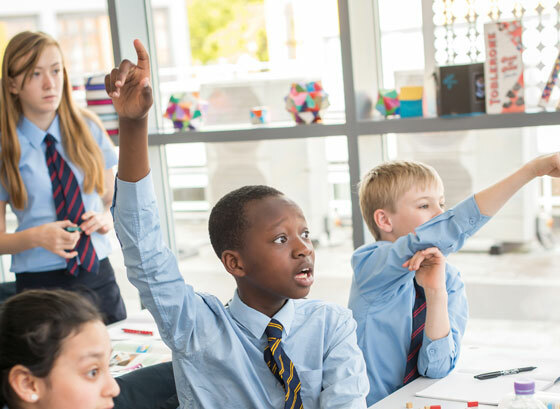 Throughout KS3 (Years 7, 8 and 9) students are taught in mixed ability classes and engage in a spiralling English curriculum that builds on the skills learnt at primary school and introduces those vital for GCSE success. Our KS3 schemes of work are varied and challenging; students experience a wide range of texts and media in their English lessons and are encouraged to respond both critically and creatively. In the final term of Year 9, students begin their two year AQA GCSE course leading to two English qualifications: English language and English literature. This is an exciting course that introduces the students to some brilliant writers and the contexts in which they were writing. In Years 10 and 11, now in sets, students continue with the course; students are taught valuable exam technique, how to read critically and write effectively for different purposes. We are very proud to offer three post-16 qualifications: A level English Literature, A level English Language and Literature and Level 3 Cambridge Technical in Digital Media. Students in all key stages are offered a number of extra-curricular activities and learning opportunities outside the classroom to enrich their learning experience. These include creative writing club, competitive mock trials, book clubs, visiting poets and theatre trips.